Combustion (PL 280) – Earth. Hawthorne’s waiting on the cliffs above the salt mines. Help her get the word out: we rally at the Farm. Off-World Recovery (PL 360) – Earth. You need something to draw out Xol. 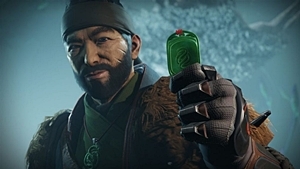 A fragment of the Traveler has been located in the EDZ. Recover it. Ordnance Mod: Increases grenade regeneration speed.